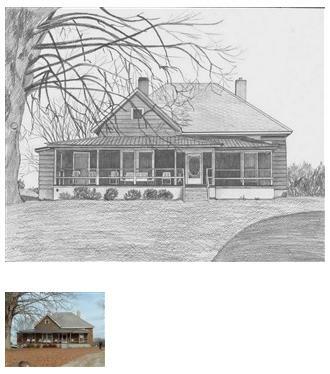 A realistic hand drawn house pencil sketches from photo. 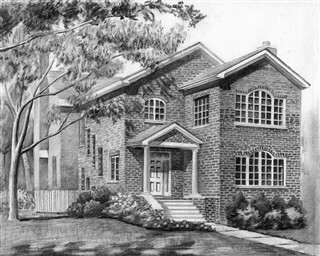 Send your house photo and turn it into art as a gift for your loved ones. 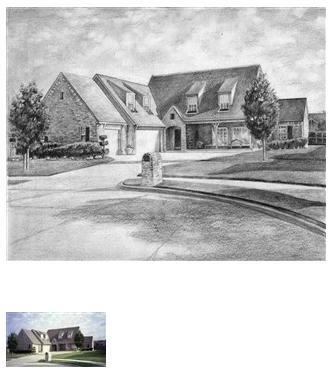 An exclusive house drawing prints are available only through myDaVinci, which are individually numbered on the back. 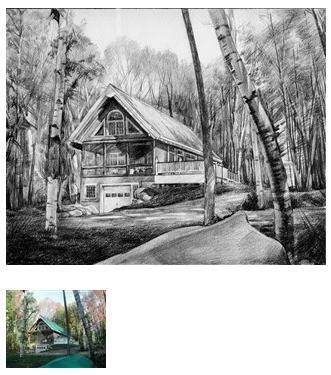 Be one of the select few to own a one of a kind artwork print of your favorite house drawing. 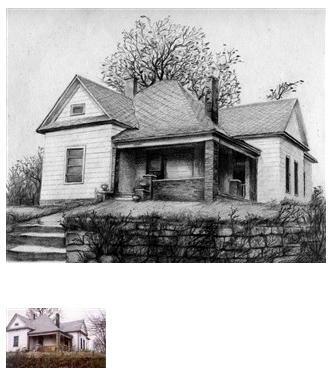 Here are some more house pencil drawing sketched from photos. 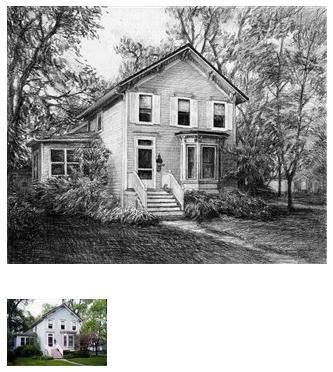 Click on the image to view details. 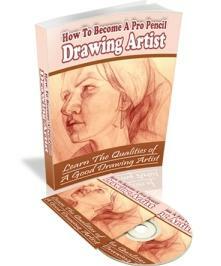 How to become a professional pencil drawing artist guide. 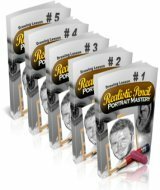 Newly launched: The #1 home study portrait drawing lesson. Download now!